In this Majority Report clip, most jobs give raises for good work. Indiana teachers get pay cuts. 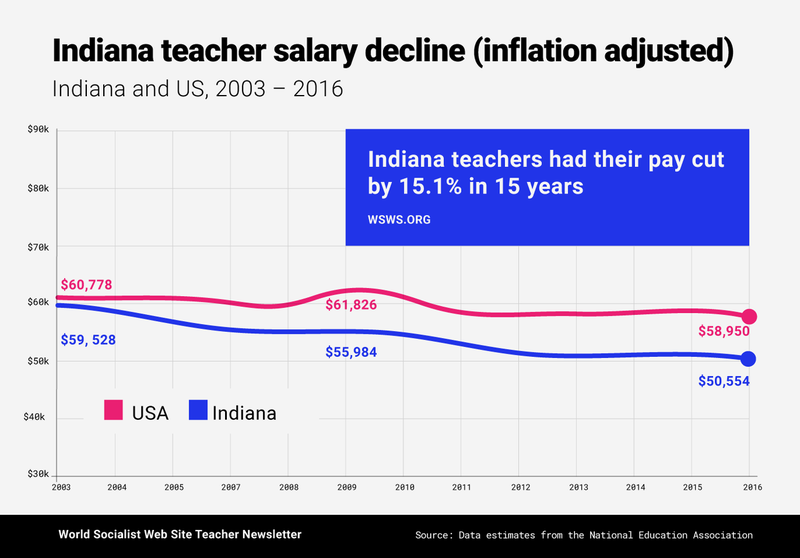 “Pay for Indiana teachers has suffered the biggest inflation-adjusted drop since 1999-2000, according to the Department of Education. They now earn almost 16 percent less. Average annual pay is about $50,500, slightly lower than the national average. Indiana is having trouble finding enough qualified teachers to fill its classrooms, with some pointing to pay as a culprit. 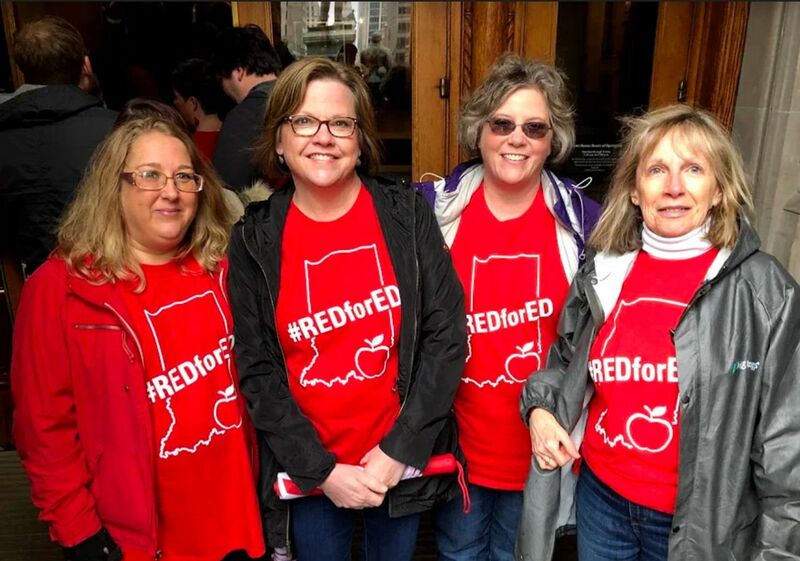 Indiana teachers should prepare a statewide strike and link up with teachers across the US to prepare a nationwide strike of teachers and workers to defend public education and oppose austerity and social inequality. Like the United States political establishment prefers spending money on nuclear weapons, endless wars in Afghanistan, Iraq, Somalia etc. etc., to spending it on education, medical care etc. Several Indiana teachers in the city of Monticello were recently shot “execution style” with plastic pellets in an active school shooting drill, provoking widespread outrage. The drill was conducted in January by the local sheriff’s office in partnership with the school district. The violence meted out against these educators by law enforcement officials took place in the midst of a wave of mass strikes by teachers across the United States and internationally: here. Teachers chanted “strike!” multiple times during the rally. 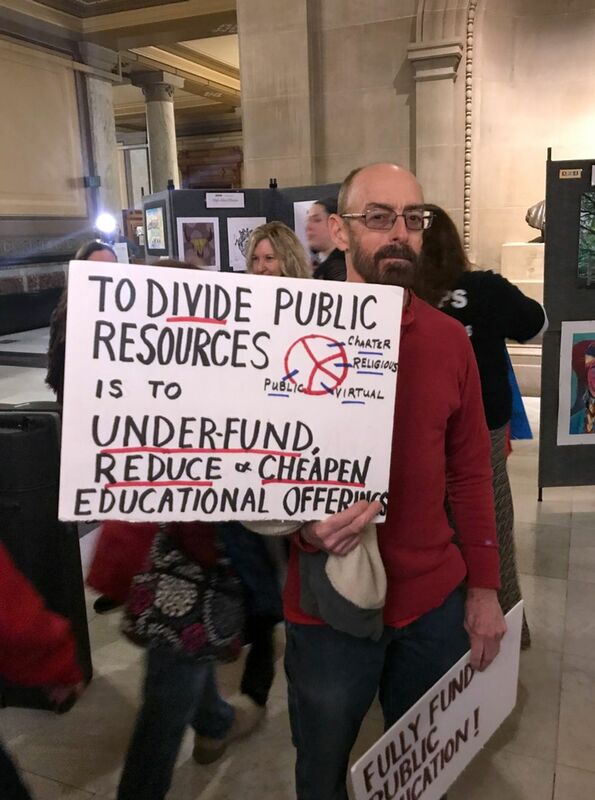 In comments to reporters from the World Socialist Web Site teachers spoke about their conditions and the struggle to defend public education.